It is a beautiful, flat course with “Spainish” theme. Consists of many characteristic holes with good strategic and visual effects. 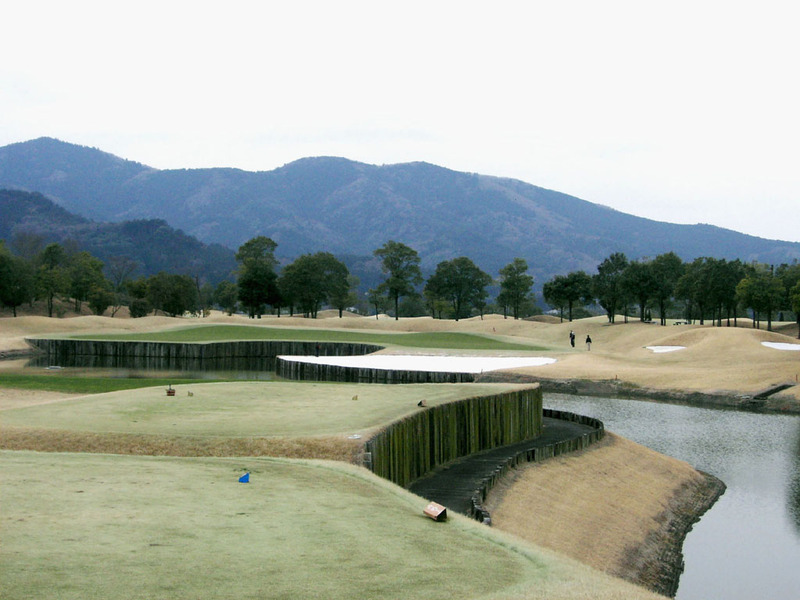 In contrast to the course design with the full of sense of humor, hazards are superbly placed and each hole demands precise shots with accurate carries. This course is very challenging. No one hole is alike and it is a lot of fun to play in the front 9, while many par 4s in the back 9 are slightly boring. The greens are difficult to putt as they are fast and has strong undulations. 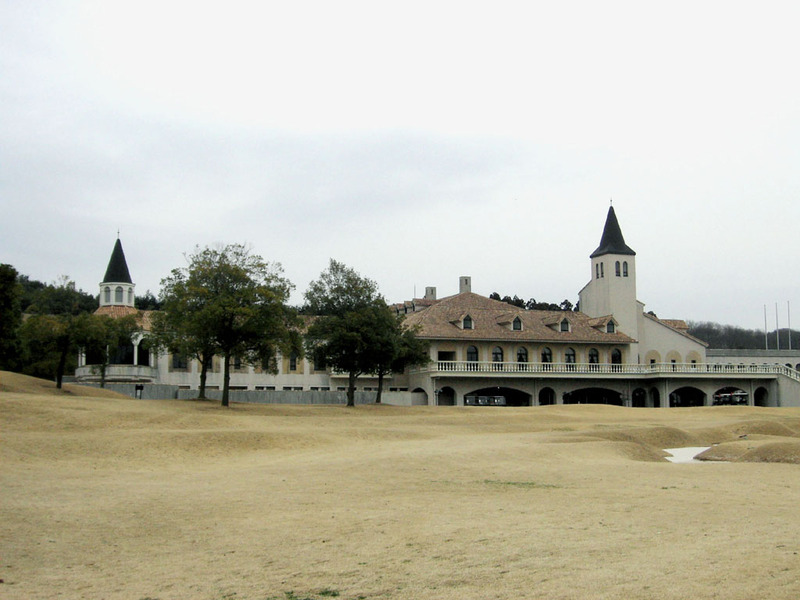 It is pleasant to see bunkers shaped like an arrow, a gutter and a hut. The course naming, Segovia is an ancient city in Spain. A difficult but nice hole. 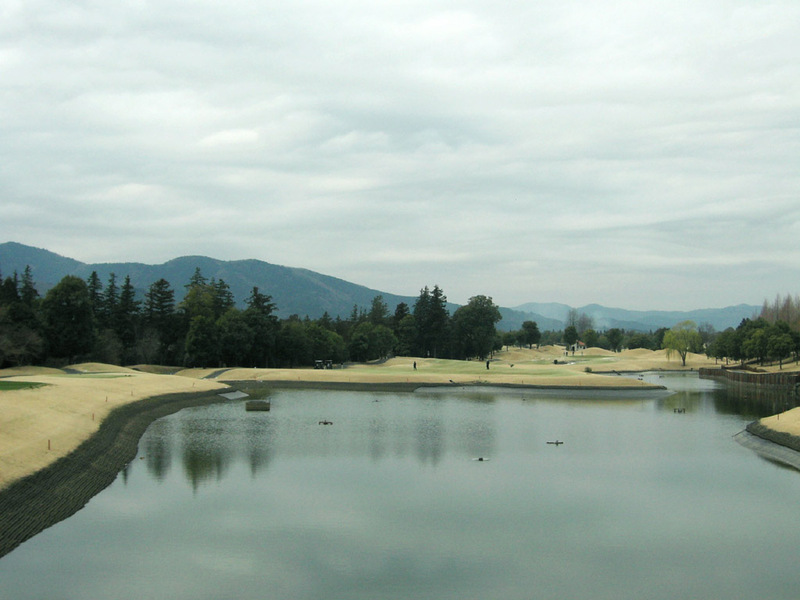 A 210-yard carry is needed to clear a large lake off the tee. In addition to the length, the landing zone is squeezed by OB on the left and the lake on the right. The tee shot will be extremely difficult with tail winds. A long bunker bordering the right half of the circular green and a unique arrow-shaped bunker protecting the front side of the green, so the second shot need to be accurate as well. 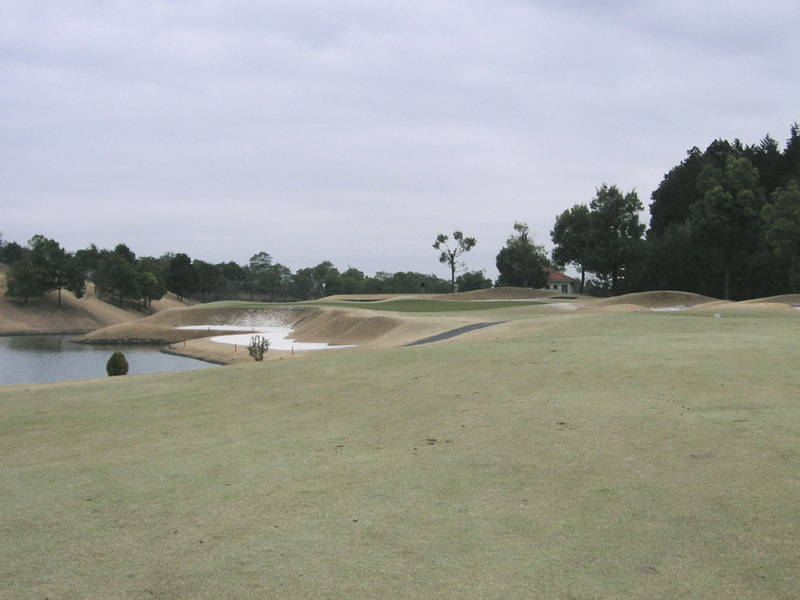 A straight hole with a small river bisecting the fairway. 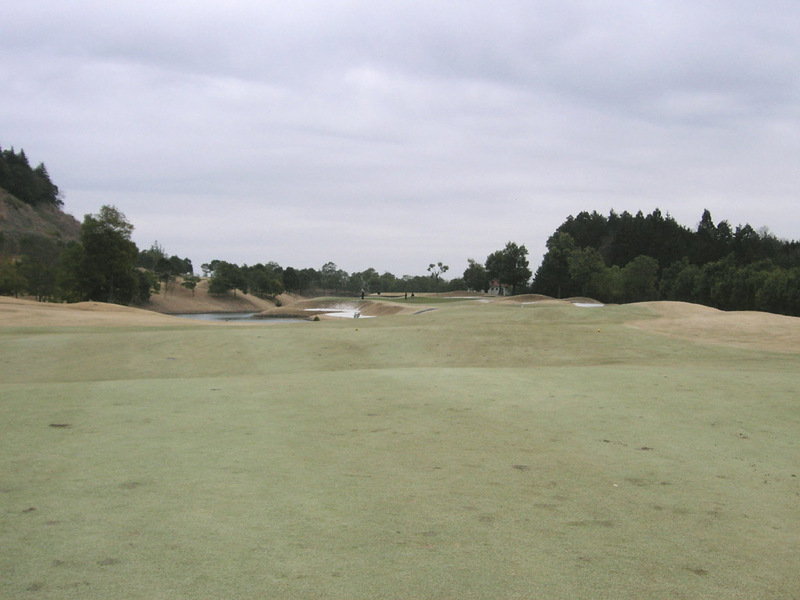 There is the river 270 – 290 yards off the tee. The view of the green and its surroundings is wonderful. 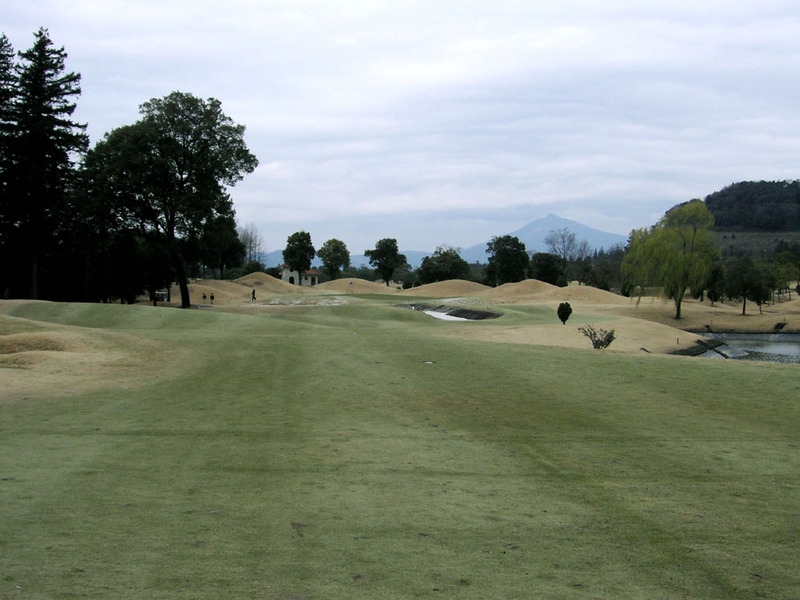 The green is more than 40 yards deep with strong undulations. A long dogleg to the right with water on the right. 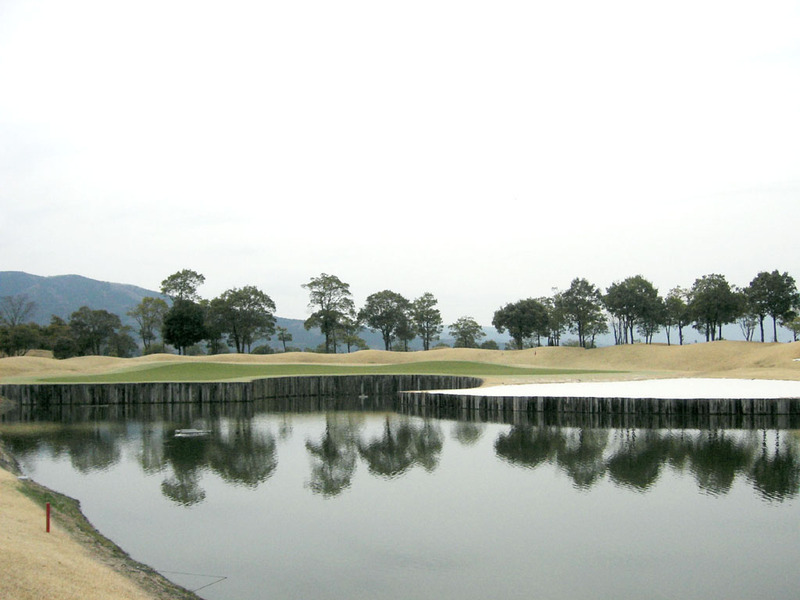 The tee shot is over a lake and uniquely shaped bunkers. The green is slightly elevated with lake on the right, so an accurate second shot is needed. A beautiful, long par 5 with lakes on both sides of the fairway. 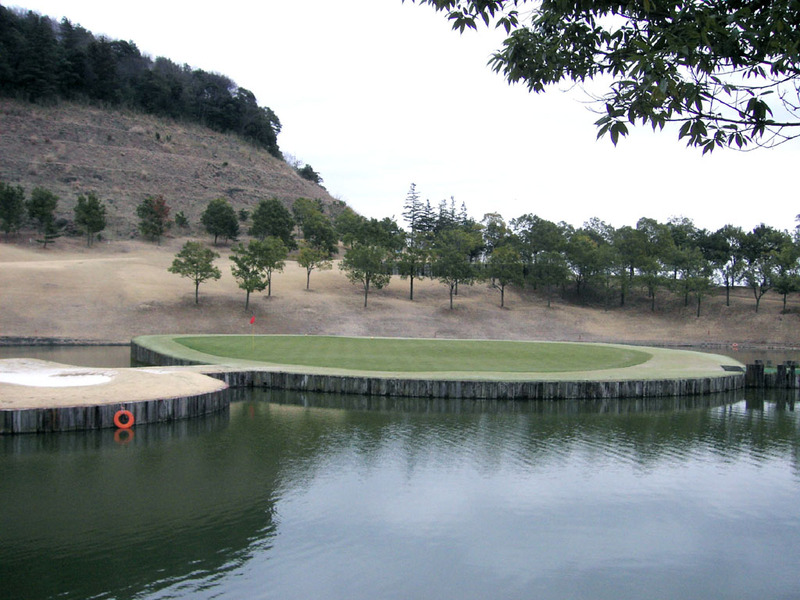 You are required to hit over water on the second as well as the third shots. A slight dogleg to the right. It’s a par 5 reachable in 2. OB stretches along the right side. The second shot is demanding. When you go for the green, you will be under pressure with 2-meter (7 ft.) deep bunkers, a lake on the right of the green and OB on the left of the green. When you decide to lay up on the second, the landing area is squeezed by the lake on the left and OB on the right, making it also difficult. A par 3 with an island green. The green drops slightly from the back to the front. There is an island bunker in front of the green. This hole is nicknamed as “gazpacho”, a cold soup famous in Spain and the lake looks like a soup, the green like a spoon and the bunker like a handle of the spoon. A par 3 over water. 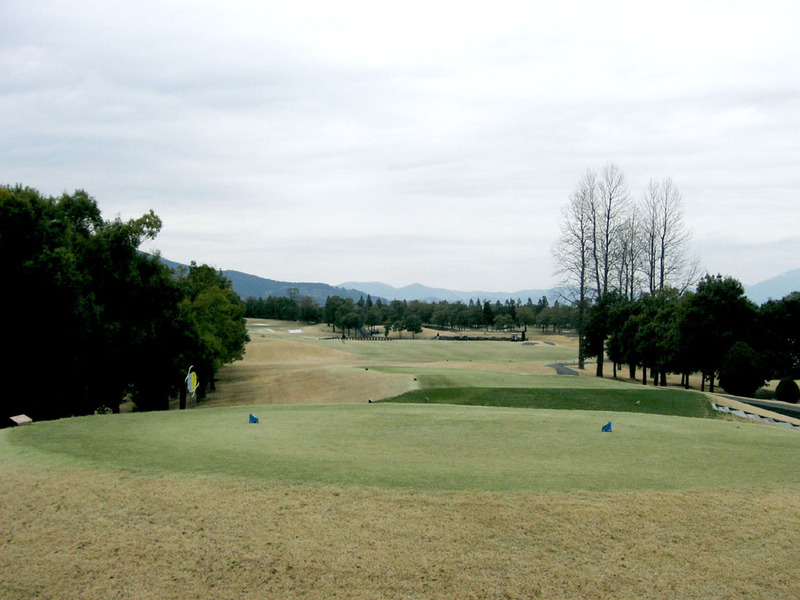 The green is very wide, so if your shot lands far away from the pin, you might end up with 3 or 4 putts. 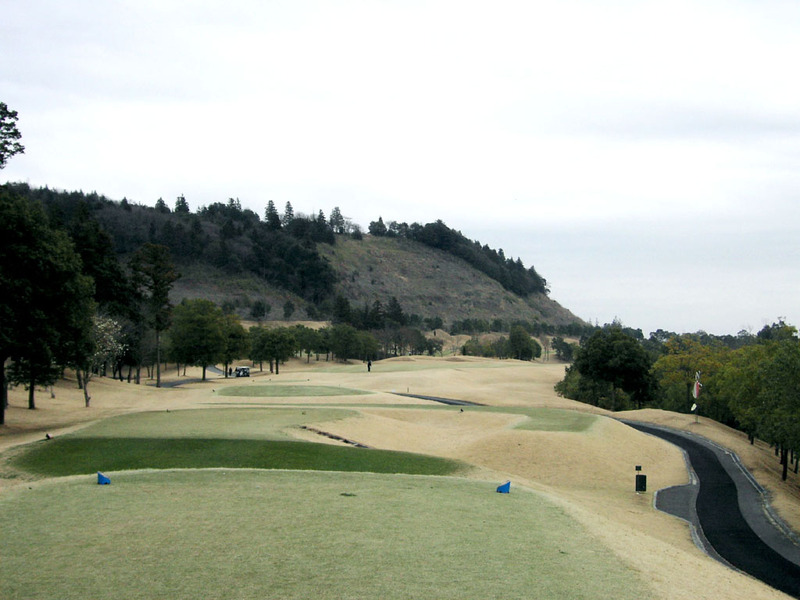 When it is not crowded on the day you play, you can play from the championship tees but when it is crowded, you have to play from the blue tees of 6580 yards, 500 yards shorter. 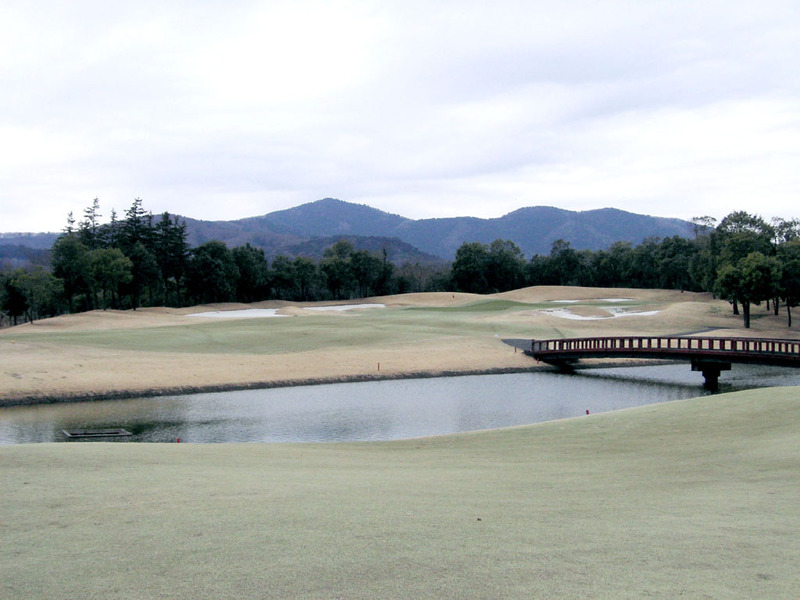 The course was awarded 92nd place out of 2400 courses in 2002’s Japanese golf course rankings sponsored by Japan Golf Classic Magazine. 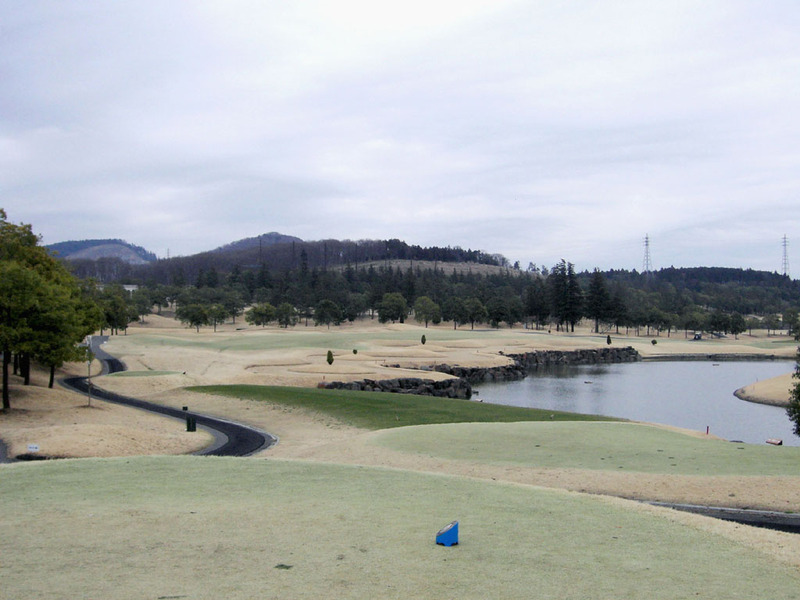 The other Desmond Muirhead designed courses in Asia are Wakagi GC (44th of the above rankings) and Brick & Wood Club, Oak Village GC, Fuji Classic GC, Shiibayama GC, Fuji Classic GC, Shinyou CC, New St. Andrews GC (72nd of the above rankings and a joint design Jack Nicklaus) in Japan, and St. Andrews 2000, The Emerald GC in Thailand, and Imperial GC in Indonesia.